Steel windows aren't just for high-rise buildings anymore! They can be used in your own home to provide the security, comfort, and beauty you desire. Steel windows have several advantages, including longevity, since they are fire-resistant, impervious to insects and rot, and withstand virtually anything Mother Nature can throw at them, steel windows can last as long as your house does. 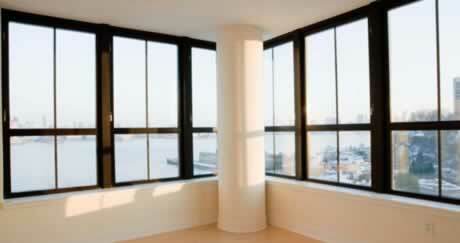 Because of these advantages, safety with steel windows is second to none. But that doesn't mean your cozy home has to look like an industrial warehouse! Steel windows can be finished in a variety of ways to add a warm, homey feeling to your structure without sacrificing the benefits. If that were not enough, keep in mind that steel windows are environmentally friendly. They never leach harmful toxins into the environment, and if you decide you are finished with them, they can be recycled into new windows or other applications.